Yesterday I joined a local Cross Fit gym for FREE through a 60 day challenge they are promoting. Signing up, I thought the owner did a great job of qualifying people for the program and removing potential tire kickers. Allowing him and his staff not to waste their energy and time on the free loaders of the world that want everything for free. You probably see a TON of promotions from gyms for a free week, or month, or $9 for the first month. These gyms have fees for $35-60/month. A price that gets people in the door easily but never show up for the transformation they desire to create in their life. The percentage of people that show up regularly on such programs is around 12% for most gym owners I talk to. Yet these people still pay the month fees because the cost of entry is low enough to justify paying in case they get inspired one day to stop eating Cheetos and watching marathon sessions of The Walking Dead. But CrossFit gyms can’t survive on these models. Or boutique type gyms that run group workout sessions. If you don’t get committed people into your gym — they will cancel there monthly fee of $150-250 pretty quickly. A person can’t keep seeing that come up on your monthly bills and justify the cost in hopes of getting as inspired as they do with the new season of Game of Thrones coming out. SO HOW DID THIS GYM PUT ON A PROMOTION FOR FREE AND ONLY HAVE HIGH QUALITY LEADS COME INTO THEIR GYM? This is a TON of FREE value, right? To join the free Challenge you have to put a $500 deposit down. You lose your $500 deposit. If you do everything you get your money back. 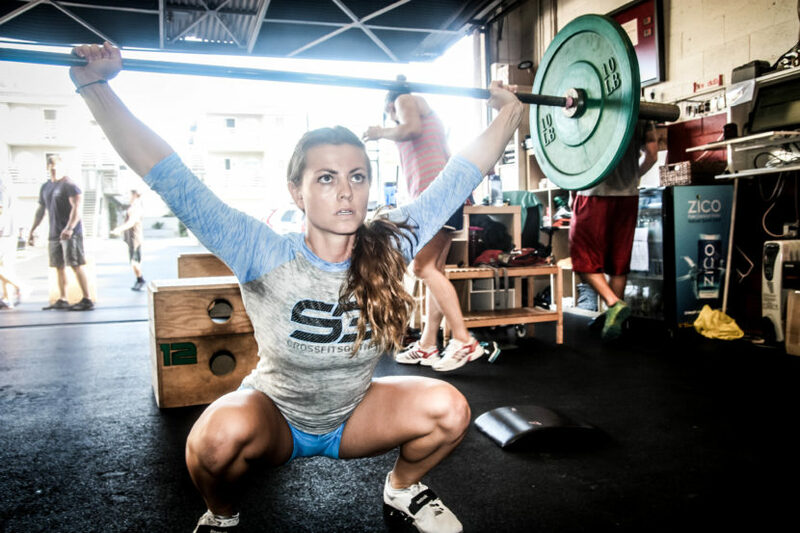 CrossFit gyms are a HIGH TICKET SERVICE. In the high ticket industry, they want people that are COMMITTED to taking action. For high ticket services, you want to attract people that aren’t afraid of investing in themselves and the greatness they truly have to change their reality. Someone that truly cares about transforming their health and body will put a $500 deposit down. No questions asked. If someone looks at a refundable $500 deposit as too much of a commitment. What is going to happen when they have to pay $150 each and every month? You, I and this gym owner knows that answer to that. Also, if the person falls off the wagon because life got in the way. There is a good chance they will still join the gym. They have proven they don’t fear spending or losing some money along the way to creating an extra-ordinary life. SUCCES = Consistency + Support + Accountability. When someone put down a refundable $500 deposit they will hold themselves accountable to consistently show up and get support. This gym is taking out the only pieces of the equation they can control — consistency and accountability. All they have to do is provide support. When people show up for support and take action — they get results. They are guaranteeing this challenge will get the participant results. What you don’t get is that people don’t care about investing money in themselves when they have build a CONNECTION with someone. In this challenge, I will be spending around 6 hours – 1 v. 1 with the owner and his trainers. Then 900 minutes with them in their group classes. There is no way connection will not be created between the staff, myself and the owner. MORE IMPORTANTLY, our connect will be associated with me getting huge results. Guess who is going to fall in love with these guys — ME! I will become there #1 advocate. I will become addicted to the time I spend there. I won’t want to miss my time at the gym because they will make me feel great. I will miss the connect once it is removed from my life. Creating the pain of loss in my life (people hate losing connection with people they love spending time with). Additionally, after all the connection and results I will feel guilty to walk away and not give them money. It takes 66 days to form a habit. After 60 days, I will have basically made Cross Fit a habit. I will no longer resist picking up the barbell and might learn to love squats (or at least overcome the resistence of them being uncomfortable). That burn you feel in the chest from intense cardio workout will turn into something my body has grown accustom to. My body will start yearning for it. Making this program 60 days is going to ensure that Cross Fit has become part of my routine. It will no longer be something “new” I’m experiencing, but a part of my life. It won’t matter. Because it will already be ingrained in me as a habits. >> What is their retention rate from the challenge? >> What is their cost per lead (someone that invests in the program)? >> What is the lifetime value of a customer at their gym? I have a feeling this program is getting them MASSIVE results and showing the high ticket services are not only sellable in Wisconsin ( a place where people think Wrangler jeans are expensive) BUT also scalable. Have people put deposits down that still need time to “think about it” or “have to talk to their partners” before investing. It weeds out the people that actually aren’t going to invest for almost all the same reasons as this Cross Fit gym has a $500 deposit. And holds people accountable to show up for another call.